Here at Horse Tack Now we investigate which Adjusta Bit Rubber Mouth Dee by Coronet are the best before adding them to our Online Horse Tack Store. We strive to offer only top quality bits at low wholesale prices. This Adjusta Bit Rubber Mouth Dee by Coronet changes sizes simply by twisting the shanks in opposite directions to increase or decrease size. 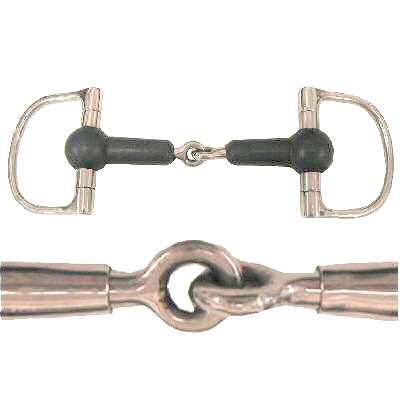 Get your horse a Coronet Rubber Mouth Dee Adjusta today at discount prices. Rest assured you are getting only superior quality items at our online store. Adjusts from 4 3/4'' to 5 1/2''.